What Am I Getting For this price range? What Should A Gamer Avoid At This Price Range? How Far Can I Upgrade From Here? As new generations of processors continue to arrive and ever faster graphics cards come off the factory line, the price for high quality gaming machines keep going down. 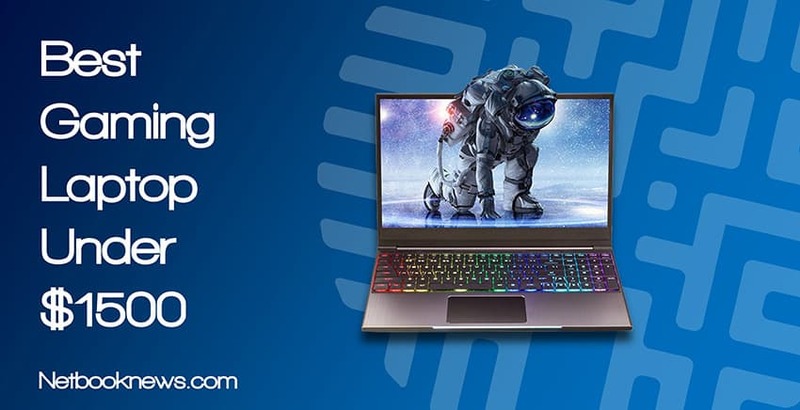 Whether you are all about the team-based multiplayer or want to spend all night building up your defenses in a survival game, most laptops in this price range are going to meet your needs. Not all models are made equal however, and there are many potential issues to look out for when shopping around. Not sure exactly what you can get for this price and want to get the absolute best machine possible? Let’s take a look at the five best gaming laptops under $1500! 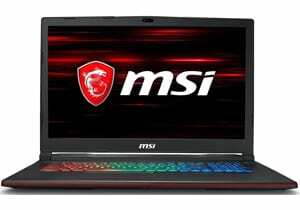 At this price range, you will frequently see similar specs in terms of graphics card power to cheaper laptops. The key differences here will be in the processors and RAM jumping up to the next level, as well as significant extras geared at gamers. This price range is one of the last tiers were budgeting becomes a concern, and you can usually expect very high end specs no matter what brand or model you prefer. 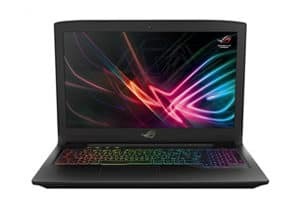 In fact, you’ll notice that many of these gaming laptop under $1500 options tend to keep the same basic hardware across the board. So what sets them apart from each other? Picking the perfect gaming laptop to meet your needs means comparing more than just the amount of RAM. You’ve got to look at the thickness, weight, design, keyboard lighting options, included software, and speaker sound quality. Below we look at five best gaming laptops under $1500 that vary widely in terms of size, battery life, and keyboard / touchpad design. Love the portability of a laptop but prefer the solid construction of a mechanical keyboard like you’d find with a desktop machine? Eluktronics gives you both, with full RGB mechanical keys and a side 10 key section at a very reasonable price! Most gaming laptops feature some sort of RGB lighting capacity, but they typically have soft chiclet designs on the keyboards. Eluktronics break that trend and gives you the satisfying sound and sturdy construction of a mechanical keyboard. While using a compact design, you still also get the full 10 key side section as well! Despite that huge advantage over other contenders, you don’t lose out on any of the other hardware components needed for a great gaming experience. With a spacious SSD, plenty of RAM, and a high end CPU + GPU combo, this unit will play anything you throw at it without losing frame rates! 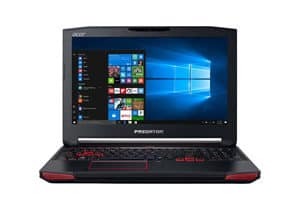 If you want to be as close to top-of-the-line as you can get without crossing above $1500 and don’t mind a heavier laptop, this should be your pick. Although bulkier and heavier than many other gaming models, Acer’s Predator line still offers top-notch specs for gamers. That weight doesn’t prevent this model from having the aesthetic that gamers crave either, with stylish red and black exhaust ports. Throw in fully customizable RGB lighting and you’ve got a very pretty machine to look at during marathon online sessions. While it doesn’t quite match the graphics card of the refurbished ASUS ROG, you still get a GTX 1060 and 16GB of RAM here in a completely factory new machine. In other words, you’ll be playing everything at 60FPS on any settings, and VR will run smoothly in most cases. 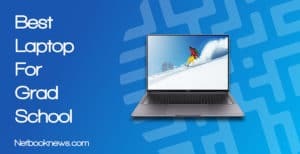 The screen is also worth mentioning, which is a full IPS display with G-Sync for a crisp and clear image no matter what angle you set the laptop. From desk to lap to resting on a pillow on your bed, the display is still going to look great while playing anything from Civilization VI to Battlefield 1. Buyers who reviewed the laptop often mention the ability to easily swap out the optical drive with an extra FrostCore fan to stay cool during long weekend games. 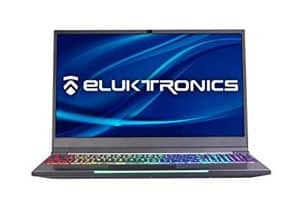 Looking for a solidly built gaming laptop with a few extra bells and whistles that won’t annihilate your bank account? 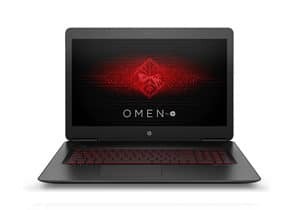 The HP Omen is easily one of the best inexpensive gaming laptops at this price point, but you still get plenty of graphical power. Want the power of a machine that seems like it cost several grand but is usually available for a very reasonable cost? HP’s Omen line has you covered with a VR-ready laptop that can be bought for significantly less money than many of our other contenders. If you’re looking to jump into high end gaming, this is a great place to start. You get some nifty extra features as well, like a four zone RGB keyboard, although the zones aren’t customizable like with with more expensive models. At just under 6 pounds this isn’t the thinnest model, but it is sturdy and will withstand normal wear and tear. Note that the Omen line of laptops comes in several different configurations. An upgraded version of this model appears on our list of best gaming laptops under $2,000 as well. Want a huge display area but don’t want to deal with an ultra heavy gaming laptop? 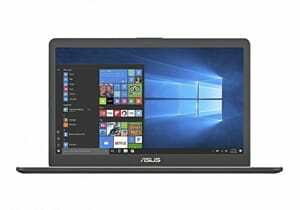 Asus gives you the best of both worlds with the best thin 17” gaming notebook — and at a reasonable price as well! The big draw to the Asus VivoBook is it’s non-standard size and weight. This is a full sized, 17” gaming laptop — that also happens to be the lightest offering in our lineup of contenders. 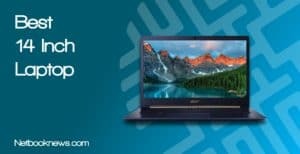 With the sleek design and full HD display, you get a very attractive laptop that still manages to cram in a lot of hardware for playing games on high settings. There’s really only one downside here over the other models — due to the thinner chassis, they downgrade the GPU from the GTX 1060 to the GTX 1050. Note that with the GTX 1050 this model isn’t technically VR ready, even though it meets the CPU and RAM requirements. You may be able to get some lower end virtual games to run, but this system will struggle with the latest titles, so it’s meant more for standard gaming. If you don’t want to be bothered upgrading the RAM later on and are willing to go with a lower power graphics card, this should be your pick. You may have noticed browsing through the specs that this ROG Strix Scar model has a downgraded graphics card from all the other entries here. With the GTX 1050 Ti model, you are at the very bottom end of what will work with VR devices like the Vive, and may find it hard to run every game at the highest graphics settings. 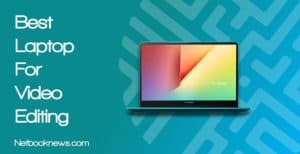 There is a major upside here however — you start out with a full 32GB of RAM and get the best processor at this price point. That means you don’t have to worry about spending more later on buying more laptop memory sticks. You also get the larger 17 inch screen and complete RGB keyboard lighting for a true desktop replacement experience. Gamers who bought the CUK ROG Strix Scar love the fast load times, but often mention that the speakers aren’t perfect and the keyboard gets hot while gaming. If you go this route, you may want to invest in headphones and a cooling pad. Want something with a clear gamer-centric design that features a top quality graphics card for a reasonable price? This is one of or top picks for a large display gaming laptop with an RTX chip! Like lots of room on a full-size keyboard, and plenty of viewing area for Fortnite matches or streaming the latest HBO show? While it’s at the upper end of the price range, that’s what you get with this excellent MSI model, which also sports a killer GPU. They made a few trade-offs to get such a new graphics card in a model at this price, however. Notably, you only get 256GB of storage space. With no secondary HDD for storage space, you won’t have much room for installing games, so pick entries from your Steam library wisely! This is also one of the few gaming laptops in the price range to go with an Intel i5 CPU instead of the newer, faster i7 iteration. The reduction in storage space and slight CPU reduction is honestly worth it though because this combo of specs in a lightweight 17” model is still a very solid choice for nearly any type of gamer. If you don’t want to pay more for peripherals, keep in mind this model comes with a handful of extra swag from MSI, including matching red headphones, a cooling pad, and mouse pad. Want a lightweight gaming device that’s still incredibly sturdy and has a solid overall construction? 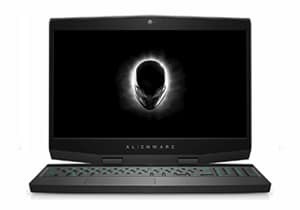 This Alienware model is our top pick for a lightweight, high end 15” gaming machine. So here’s the thing — most gamers straight up don’t need the new RTX cards at this point. If you prefer a thinner machine that still packs a punch with the GTX 1070 line, you can’t go wrong here with this Alienware model. While it doesn’t have the latest and greatest GPU, it does feature a sturdy metal chassis and a sleek, stylish build. This unit has an interesting design because at first, it seems like it doesn’t include nearly the same level of port options as other gaming models… until you turn it around. To save space and get this beast under 5 pounds, several of the ports are on the back instead of the side. There’s really only one downside here — make absolutely sure to install some CPU heat measuring software and get a laptop cooler for this model, because it runs very hot. Quite a few buyers have noted it gets hot enough to occasionally shut down while gaming if you don’t monitor the heat! Want to jump into VR without spending two grand (or even a full $1,500)? This is our top pick for a budget-friendly VR gaming laptop at the price range, especially if you like a full sized keyboard with red backlighting! With a shiny new RTX graphics card and a stylish Steel Series red keyboard, this model doesn’t lack in either style or substance. Want to try out VR devices like the Oculus Rift or HTC Vive? This is a great way to do it without emptying out your checking account. This model from Xotic is typically available around $100 – $150 cheaper than our other picks, so this is basically your “budget” VR option (with “budget” being a relative term of course). 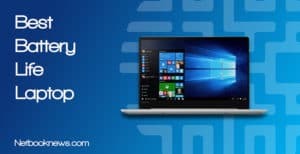 To achieve that lower price, the manufacturer dropped down to the i5 processor and ditched the secondary HDD, so make sure to find some cloud storage for saving your files! Many laptops in the $900 – $1,400 range will give you decent enough specs to play any game with stable frame rates at medium – high settings. The question here is — do you need to go all the way up to $1500? At this price range, 7th and 8th gen processors become the standard, and you should expect at least 16GB of RAM. Between those specs and the GTX 1060 – 1070 graphics cards, you are virtually guaranteed to run anything you can find on Steam without any slow downs. That can be a boon for more than just gaming as well. Faster processors mean better ability to use other programs besides just graphics-intensive games. For those who mix audio, edit animated videos, use CAD programs, and so on, these are all solid picks for work, school, and gaming. Some manufacturers and online sellers haven’t caught on to the fact that graphics technology has massively increased in the last few years. You may find systems with specs that are now low to mid range that are still selling for around $1500. A system with 8GB of RAM should be simply unacceptable if you are going to drop this amount of money. 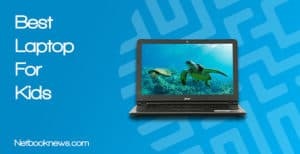 There are plenty of laptops with that amount of onboard system memory that can be purchased at much lower prices. On the graphics card front, anything beneath a GTX 1060 shouldn’t even be in your consideration at this price, unless you don’t care about VR. 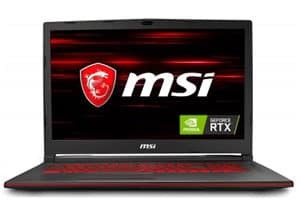 If you are going to pick a laptop with a GTX 1050 or 960MX, you could save yourself several hundred dollars by finding a less expensive model. The only potential trade off there is finding a system in this price range with maximum RAM and larger hard drives at the cost of a less powerful video card. While you don’t get as much graphical power for VR applications, you also won’t have to spend money on memory upgrades down the line. For the most part, upgrading the graphics card or processor isn’t going to be a viable option in a gaming laptop. They just aren’t designed with that kind of modular replacement in mind, which is why you should go for the best graphics card possible at your budget. The RAM is a whole different story, however. While most of these models will hover around 16GB, they typically can be upgraded all the way to 32GB and in a few cases even a whopping 64GB. Don’t forget to leave money in your budget for the peripherals and for more expensive extras like a VR setup, either! VR games are becoming increasingly popular and the price on VR gear is coming down over time. When buying a VR device such as the Oculus Rift or HTC Vive, keep in mind that the GTX 1060 graphics card is where you will get a stable experience. If you want the absolute best in graphical capabilities and no slow downs on the latest VR games, you should seriously consider a GTX 1070 instead. Any of these five portable gaming rigs will easily offer you a top notch gaming experience, whether you are a turn-based strategy junkie or a fan of the online MOBAs. Which of these picks do you think is the best gaming laptop under $1500? Let us know which one you plan on ordering, and be sure to leave us a comment if you’ve found any other killer rigs at this price we should look at!